The Duke and Duchess of Cambridge are a famously competitive pair, with the couple previously stating that they’re not shy of taking one another on in fierce sporting challenges. 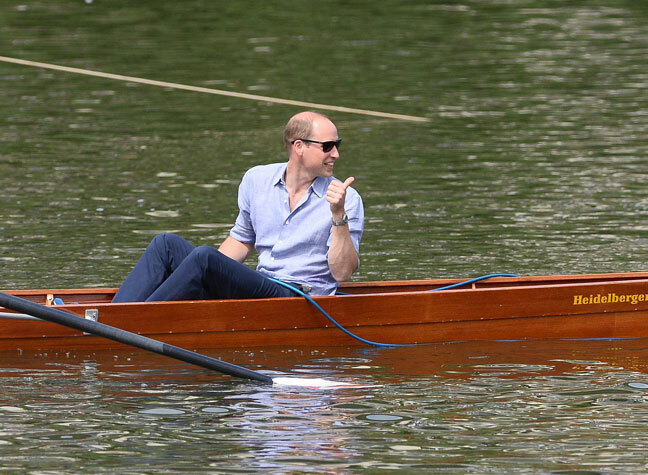 On their recent royal trip to Germany, Catherine and William once again faced a showdown as they took part in a rowing race against each other on the River Neckar in the city of Heidelberg. 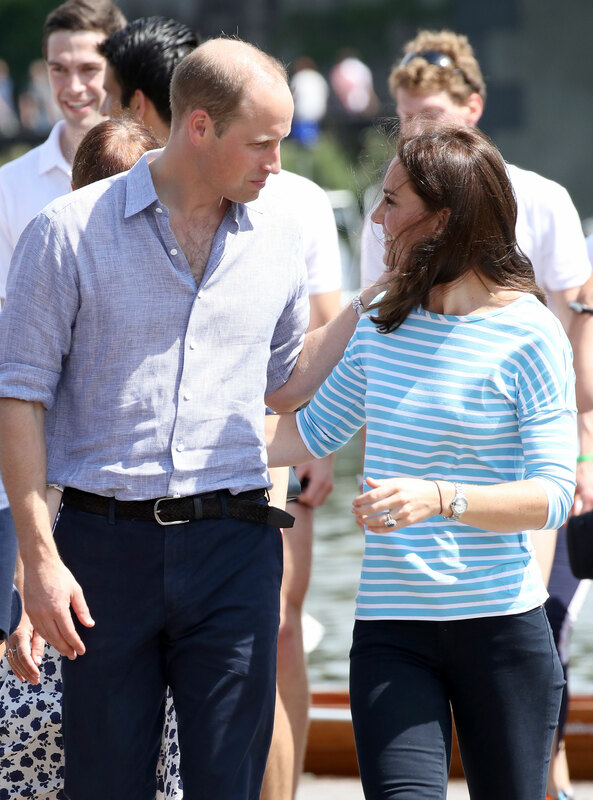 The couple donned their casual wear for the big event, with the Duchess trading her smarter Jenny Packham dress for jeans, a stripey t-shirt, and her reliable white Superga trainers – one of her go-to pairs for casual events. The Duchess also openly revealed her nerves at the impending race, telling her crew she was “worried about crashing”. As the race began, tension built as the crowd cheered the royal couple. Despite Catherine’s initial advantage, William’s team managed to edge out ahead during the race, eventually scooping victory. 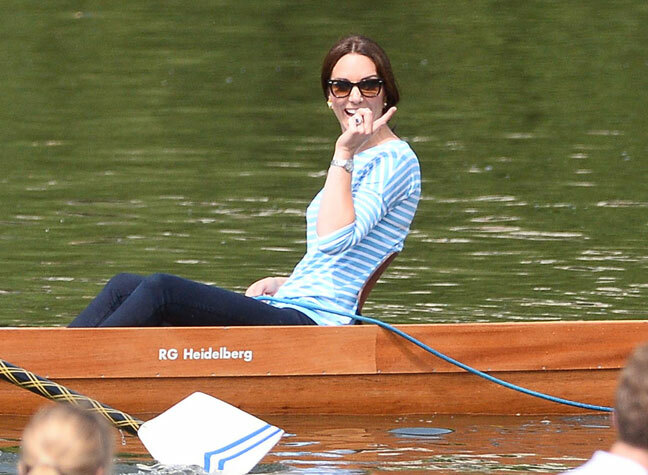 Even after sharing her desire to beat her husband, and despite her well-known competitive streak, the Duchess of Cambridge proved she was a good sportsman and grinned as her boat crossed the line after William’s. The couple later shared a sweet but rare moment of public affection, embracing each other as they hopped out of the boats, and later putting their arms around one another on the walk back. The Duke and Duchess of Cambridge were later awarded for their efforts with matching medals – and surprisingly, pints of beer! The couple then cheered to another successful day of their ongoing tour.